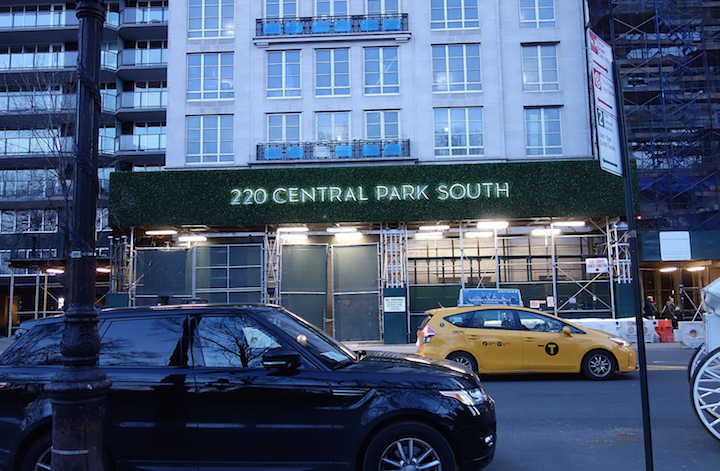 A new condo tower at 220 Central Park South is drawing some exclusive tenants who are spending between $12 million and $250 million for units they haven't even seen. The developer of this nearly 1,000 foot tall tower refuses to release images of the condos. So, who are the people dropping a fortune on these condos? Hedge fund manager and real estate hoarder Ken Griffin reportedly dropped more than $200 million on several units at 220 Central Park South. Billionaire Daniel Och, the chairman of Och-Ziff Capital Management, the biggest publicly traded hedge fund in the U.S. is also slated to be a resident. Calvary Portfolio Services' Andrew Zaro and his actress wife Lois Robbins also bought an apartment in the building. So did real estate mogul Ofer Yardeni, CEO of Stonehenge Management. Oh, and so did Sting and Trudie Styler. The company building the tower, Vornado Realty Trust, and the company selling the units, Corcoran Sunshine Marketing Group, have both declined to comment on the identities of any of the buyers at 220 Central Park South. Most developers are eager to show potential buyers the finishes and amenities of their homes. Vornado has decided not to do that and shrouded the ultra expensive units in secrecy. It seems to be working for them. About 83% of the building is sold, including 26 of the 27 full floor units which are priced at $50 million or more. More than half of those were sold within a year of the building going on sale in 2015. Vornado will make $1 billion from sales of the units in the building. The building has an 18-story chalet fronting the street with a 79 story tower rising behind it. It is believed that the Robert A.M. Stern designed building will set a record for the highest price per square feet for a New York City apartment. The current record was set in another Stern designed building, 15 Central Park West back in 2012 with the $13,000 per square foot penthouse with an $88 million price tag fetched. Amenities in the building include private dining rooms, a gym, a library, basketball court, juice bar, golf simulator, and a children's play area.